Azhar is looking for crucial game time before the winter series against Australia and New Zealand. 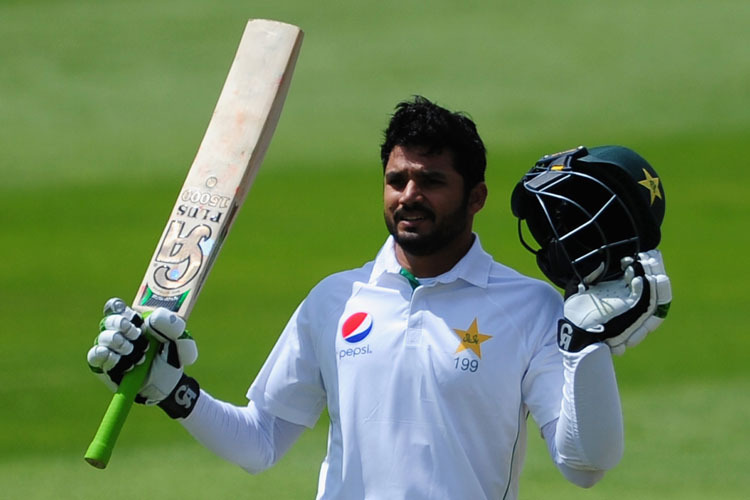 Right-hand batsman for Pakistan, Azhar Ali has signed with Somerset for the rest of County Championship season in England. Azhar, who has scored 5,129 runs across 62 Test matches for his country, was in talks with the club for a while and wanted some crucial game time being predominantly a red-ball player before playing Australia and New Zealand in UAE this winter. Set to make his Somerset debut against Worcestershire later this month, Azhar was quoted telling county's website as, "The standard of first-class cricket in England is very high and I hope that I can make a contribution to Somerset winning matches,"
The other reason Azhar, who has scored runs all over the world, wanted to get some tough grueling cricket under his belt is the struggle he went through in Ireland and England recently, managing just 73 runs in 6 innings. Andy Hurry, Director of Cricket for Somerset, also talked about the development and said, "Finding the right fit at short notice can be challenging, however, we are delighted to have secured a player of Azhar Ali's character, pedigree and class for the remaining seven Specsavers County Championship matches"
"His experience at the top of the order will prove to be hugely valuable at the business end of the season. I have spoken to him several times over the last few weeks and he is very keen to share his knowledge of the game with our aspirational players, so the influence he can have within the changing room will also be vital for us as a club."